When first Joe Gomez and then Joel Matip suffered injuries within one December week, the thought began to formulate in the Liverpool No.3’s mind. Circumstances, the midfielder realised, could soon dictate that Jürgen Klopp would require his services in central defence. 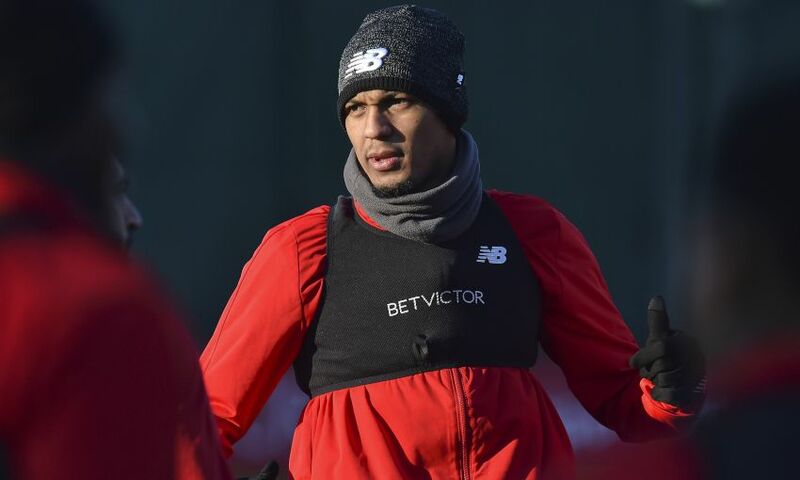 Fabinho started the FA Cup tie at Wolverhampton Wanderers alongside Dejan Lovren in the backline and then, as a result of the latter’s injury in that game, partnered with Virgil van Dijk to record a clean sheet at Brighton and Hove Albion last weekend. The Brazilian’s assured transition to the role did not happen by accident. Rather, that foresight allowed him weeks of preparation, training sessions to fine-tune, for such a scenario. “Some weeks ago, I knew this could be an option because we had some players out injured and we only had two centre-backs available,” Fabinho tells Liverpoolfc.com. It showed on the south coast on Saturday. Fabinho made more clearances than any player on the pitch against Brighton and no defender on either team bettered his 85.7 per cent success rate in duels. And then there was his crucial block to deny Pascal Groß at close range shortly after Mohamed Salah netted the single, match-winning goal in the game from the penalty spot. “I’d already played the previous game as a centre-back against Wolves,” he reflects. After waiting until mid-September for his first competitive Liverpool appearance, Fabinho has been involved in each of the team’s last nine games – including six starts. Klopp always preached patience when asked about the summer signing’s situation in those early months of the season, and now player, manager and club are beginning to reap the rewards. “He’s a brilliant player,” reiterated the boss in his post-match assessment at Brighton. 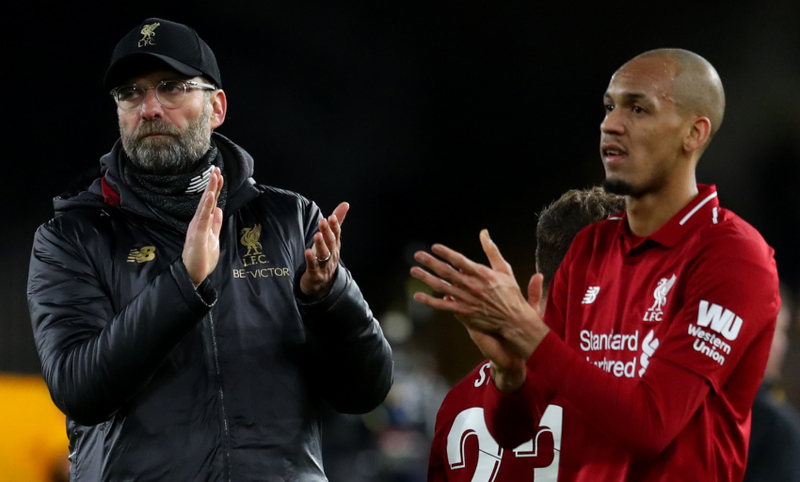 Fabinho feels Klopp’s man management is designed to get the best out of those under him, both in their ongoing development and match-specific situations. “The relationship with the coach is good,” says the 25-year-old. “He has a different way of speaking to each player. “He understands things about us, things we need to improve on. He’ll tell you what he wants you to do on the pitch concerning movement, so that when we’re on the pitch we understand the best options for us. Before Fabinho’s recent move backwards in the Reds system, he exhibited his ability to influence play in advanced positions. The Brazil international registered outstanding assists against Manchester United and Wolves in December, the former a precise pass over the top for Sadio Mane to strike and the latter an intelligent drive forward and cross into the clinical Salah. So, was that down to instruction, decision or confidence? “I think it was a bit of everything,” comes his response. “Of course, playing more and getting more minutes is going to lead to my confidence growing. “The chemistry on the field between players has been improving, I already know what runs the forwards like to make and on many occasions when I pick up the ball in midfield, I can look at their movements and put a ball over the top to take advantage of their pace. Fabinho’s fine form in December, coinciding with a run of eight consecutive Liverpool victories, also included a belated festive gift for the former AS Monaco man. His near-post, 85th-minute header against Newcastle United on Boxing Day made little difference to the result given the Reds already held a commanding 3-0 lead. But it meant plenty to the scorer. “It was really special to score my first goal,” he adds. “Despite my height, I don’t score a lot of headers, so it was great in that aspect as well. It was great to have scored at Anfield wearing a Liverpool shirt. “When I scored, I went over to the part of the ground where my family were, to celebrate with them. Then I celebrated with the players – it was a really special moment.